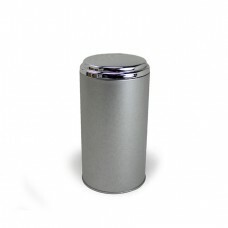 This is a very stylish silver color tea tin with mirror effect (a shiny lip) design for a classy touch. 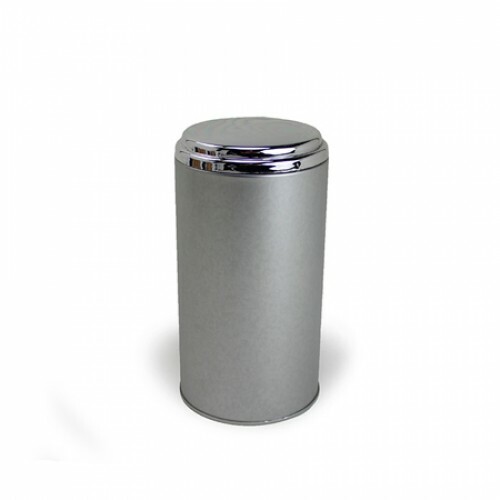 The body of this tea canister is matte finished in silver. 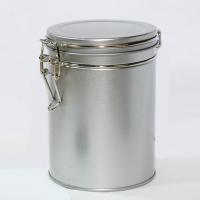 A perfect silver tea tin for either home or office use. Elegance look. Perfect as a gift ideas. Get your's today! Disclaimer: Please note all listed size are only estimates based on the density of Jasmine Pearls Green Tea. Size listed may not necessarily match to fit other teas. 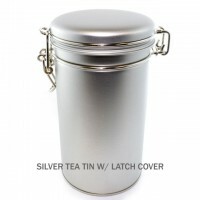 10 oz Tea Tin with Latch Lock Our Tea tins with latch locks comes with an easy-to-use latch and a..